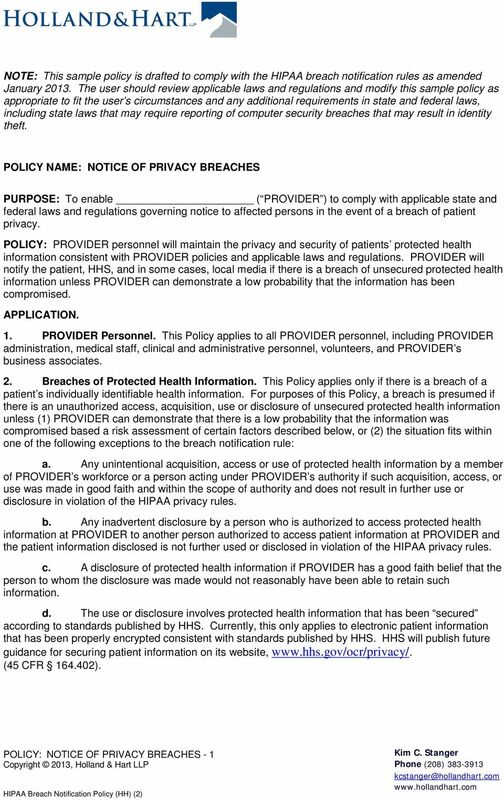 Download "POLICY NAME: NOTICE OF PRIVACY BREACHES"
Identifying and Responding to HIPAA Breaches Kim C. Stanger (2-16) 1 This presentation is similar to any other legal education materials designed to provide general information on pertinent legal topics. 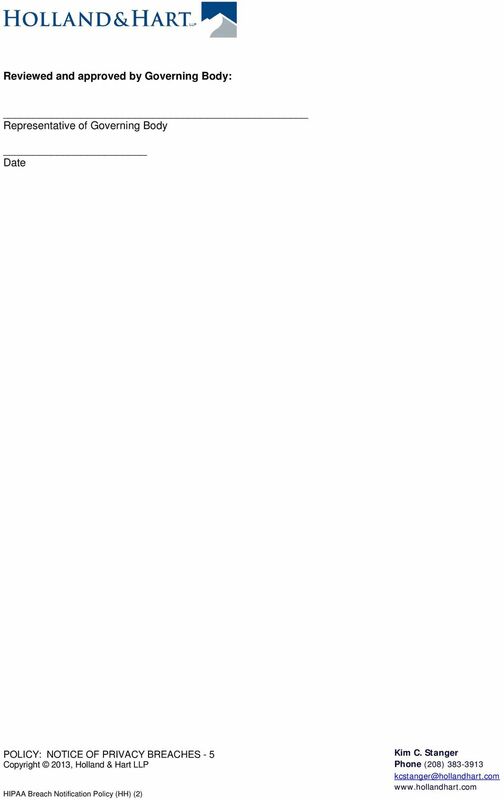 Healthcare Practice. 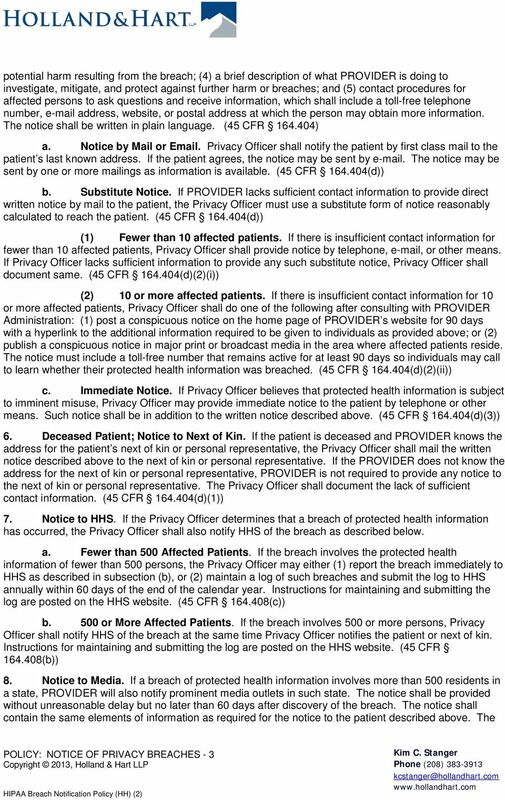 Breach Notification Requirements Under HIPAA/HITECH Act and Oregon Consumer Identity Theft Protection Act. Oregon. 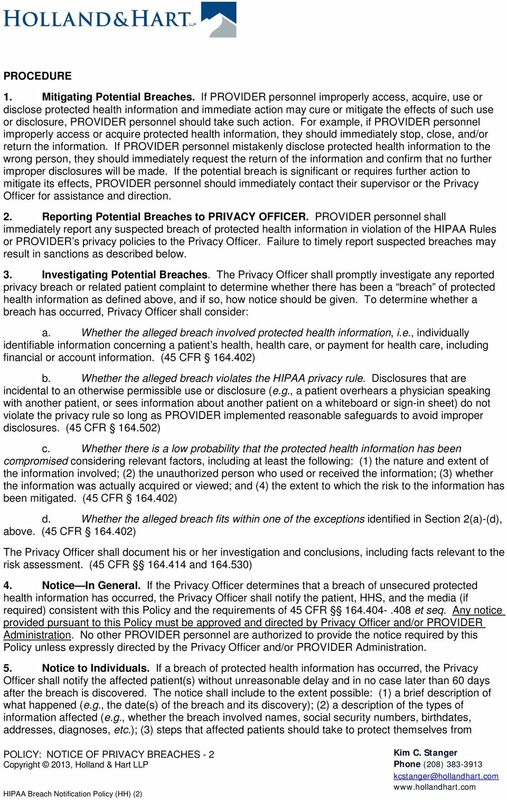 Re: RIN 0991-AB56; Breach Notification for Unsecured Protected Health Information; Interim Final Rule, 74 Fed. Reg (August 24, 2009).